I'm going to take the objective approach with this movie and say it did a good job depicting the struggles of the common man during late World War II Japan and that life was harsh for civilians who had to ration out food and were forced to sell precious items to eat. From a subjective view, I understood the aunt's POV of what she and her own family had to do to survive and was frustrated that Seita wasn't pulling his own weight to contribute and at the same time provide for Setsuko. However, the aunt wasn't in the right either by treating Seita and Setsuko the way she did that led to the tragic circumstances the siblings ended up in. In the end, I concluded both Seita and the aunt were flawed characters in how they were portrayed and that the movie teaches an important lesson in how personal pride can have major consequences. The emotional impact was lessened for me as the start of the film shows what happens to Seita and what his fate would be as the film progressed. Otherwise, this is a movie I think I can only watch once. I dunno why but I'm not completely touched with the overall movie. I think there is something wrong with me. The story is set after WW2. Everything is realistic from the actions to the facial expressions. Though maybe because the story is too tragic that it made me numb. If this movie doesn't make you cry, you either lack a soul, or tear ducts. This is one of those animes, that if I ever confronted a person who despised anime because they believe it lacks substance, I would show them this movie. At some point while watching this, it completely forget that I'm watching an anime; the characters are amazingly human, the symbolism is heartbreaking, and the animation, the details, even the character's movements are a complete work of art. If you've never seen this film, do yourself a favor and take the time to watch it. 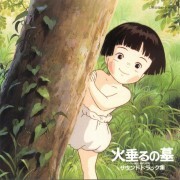 My appreciation for the art of animation instantly multiplied after watching Grave of Fireflies. xtremely sad. that's all I can really say. These two children are amazing for surviving as long as they did. As tears streamed down my face during their last moments I began to reflect on my own life and how much better off I am than others. This tragic story of a brother and his little sister will touch your heart, I guarantee it! Yes it's sad and even depressing, but it's also a depiction of the struggle of what many children face and if we ignore that then... well you know. This is one of those movies that everyone should probably watch once in their lifetime because it is a truly great, heartwrenching movie. However, it was so depressing that I will probably never watch it again because I don't want to put myself through the emotional anguish again. Some people may think I'm exagerating, but this movie is one of the few things that has actually had that sort of effect on me. 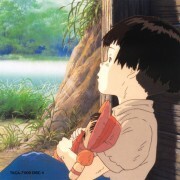 an extremely sad movie, you felt sorry for the main character by the time you got to the middle of the anime. every time I watch the anime I cry at the end. it's such a sad anime all the way through. the kid just can't get ahead anywhere, he tries so hard. so much like real life for a lot of people. One of the best movies I've ever seen, not just anime movies, overall. It's about the WWII, exactly the bombing on Kobe in 1945. 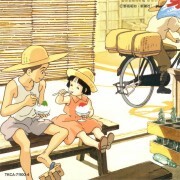 It tells you the story about Seita and Setsuko. If you haven't seen this one, you should!!! This would be a movie I was predetermined not to like. It was interesting seeing The Great War from a Japanese civilian perspective (the reason this gets a 5 instead of a 3.5 or 4), however it just felt off. I didn't like the English dub, The graphics were good considering this film was made before I was born, however as typical of animated films from my early years and before, the colors seem a bit washed out, and I just didn't feel an attachment to any of the characters, where I didn't care if characters lived or died. No feedback on Grave of the Fireflies.